Account-based marketing and predictive analytics are two b-to-b marketing and sales approaches that are undergoing accelerated adoption. What many marketers haven't yet realized or taken advantage of is that applying predictive analytics within an ABM strategy can optimize business outcomes. 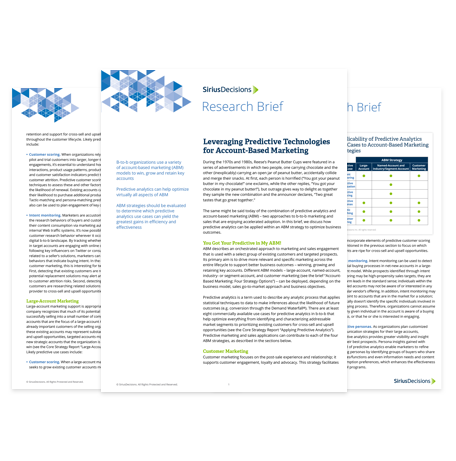 This SiriusDecisions research brief explores the predictive analytics use cases that can contribute to the success of four established b-to-b marketing and sales ABM strategies.